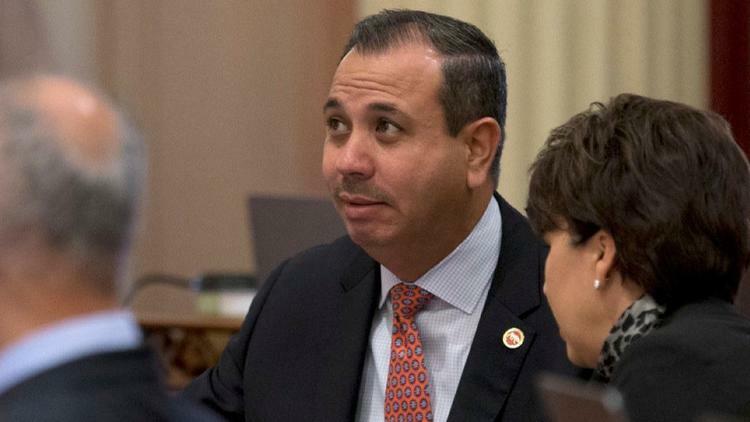 Senator Tony Mendoza has been accused of sexual harassment by staffers. He is running for re-election and seeking the Democratic Party endorsement. Party Activists Must Object to the Automatic-Endorsement of Incumbents to Prevent This. California Democrats have a big problem. Two sitting Assemblymembers, Raúl Bocanegra and Matt Dababneh, resigned after they were accused of sexually harassing and committing other improprieties against women. But these two are the tip of the iceberg. According to rumors circulating within party activists and legislators, the Los Angeles Times has a list of twelve legislators with credible complaints of sexual harassment against them. Two of those legislators are said to be Republicans, which leaves ten Democrats. One of the Democratic legislators included in the list I was given, Sebastian Ridley-Thomas, recently resigned citing health reasons. Another, Senator Tony Mendoza, has been publicly accused of luring a 19 year old intern to his hotel room and giving her alcohol, and inviting a potential employee to his apartment to “review her and other resumes” and then firing the staffers that reported this. Mendoza has taken a forced leave of absence, but he is still running for re-election and seeking the Democratic endorsement. He has been calling party delegates to demand they support him. Chances are both Mendoza, and the other six still publicly unnamed Democrats supposedly in the list of accused sexual harassers – some of whom may even be rapists -, will receive the California Democratic Party’s endorsement. That’s because of recently passed rules that make it almost automatic for incumbent Democrats to get the Party’s endorsement and impossible to challenge them once they are placed in the consent calendar. In trying to protect its incumbents, the California Democratic Party is taking the risk of being known as the Party that endorses sexual harassment. As the rules stand, an incumbent Congressmember, Assemblymember or State Senator will be automatically placed in the Party’s endorsement consent calendar, unless 20% of the voters at a pre-endorsement conference file an objection by January 17th. These voters are mostly composed of party delegates , county central committee members living in the district and representatives from democratic clubs based in the district. Incumbents themselves are delegates and they get to appoint another 5 or 6 delegates, depending on the office. Incumbents also often endorse and fund slates of candidates for elected delegate and central committee spots, thus controlling a considerable percentage of the votes at pre-endorsement conferences. Even when incumbents do not control voters, it’s very difficult for Democratic Party activists to sign a formal objection like it’s required. The incumbents are still in office and will be for at least another year, and they could easily retaliate by voting against bills activists support or sabotaging the activists’ incipient political careers. Fears of retaliation run rampant within the Democratic Party and with good reason. Still, if the California Democratic Party is going to retain any dignity and credibility for the 2018 elections, Party members must put those fears aside and file objections against incumbents. They must do it in the case of Tony Mendoza, but they must also do it at the very least against all the incumbents rumored to be in the list – and perhaps against all incumbents altogether as an insurance against any abhorrent information about them that may appear between now and the Convention in late February. Challenging an incumbent does not mean that the incumbents will not get the party’s endorsement – rather, it means that there will be opportunities to remove them from the endorsement consent calendar in the future, if negative information comes to light. But if they are not challenged now, they cannot be removed later if that occurs. There are, of course, other reasons to challenge incumbents. It is healthy in any democracy to have representatives periodically have to make their case for re-election and endorsement before the voters. Just as we don’t automatically elect incumbents to their next terms, we shouldn’t automatically endorse them either. I therefore urge my fellow delegates, central committee members and club reps throughout the state, to file objections to the automatic endorsement of incumbent legislators in their districts. If this is not done, and any sexual harasser makes it to the consent calendar without the possibility of being removed – then CDP delegates will only have one choice to prevent sexual harassers from receiving the Party’s endorsement and making the CDP the party that endorses sexual harassment: to vote down the whole consent calendar. There will be no possibility to vote on the individual endorsements of Democratic candidates in the consent calendar – they must all be approved together. The consent calendar will includes all the Democratic Assemblymembers, State Senators and Congressmembers that have been recommended for the endorsement – up to over 180 candidates. It seems, on its face, unfair to punish so many good Democrats by denying them the party’s endorsement simply because it’d be the only way to deny it to sexual harassers. But if it’s a choice between that and endorsing sexual harassers, I believe we should vote to not endorse anyone. Let’s hope we don’t have to make that choice. 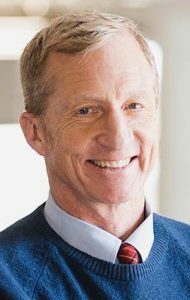 Billionaire hedge fund investor and mega-Democratic Party donor Tom Steyer announced today that he will be making an announcement on Monday. The speculation in the press is that he’ll announce his run US Senate against Dianne Feinstein or for California Governor. There are indications, however, that he plans to run for President instead. After all, Steyer just spent $20 million of his own money airing commercials featuring himself asking people to sign a petition urging Congress to impeach Trump. This not only raised his profile nationwide – when he makes his announcement, at least some people will know who he is – but it has helped him build a massive database of voters he can approach for support. Steyer is making his announcement at a press conference in Washington DC, in front of the national media. Were he to run for a California office, you would expect him to make this announcement somewhere in this state, with a crowd of Californians behind him cheering him on. There is more: today he also announced he was buying each member of Congress a copy of Michael Wolfe’s “Fire and Fury: Inside the Trump White House” and is planning to hand deliver each copy. But Tom Steyer would be a fool to run for President. Surely, the temptation is great. He is rich enough to fund the election on his own and Americans just showed they will elect a billionaire with no qualifications to the Presidency. He would be justified in asking himself “why not me?”. But the answer should be obvious. We may all hate Trump, but we also love to hate him. Trump has charisma. He is entertaining – a reality TV star for a reality TV generation. Steyer, on the other hand, is a dud. I’m sure he is a nice guy and he has the look of an old professor, but he is otherwise charmless. But for his millions, he is not the sort of guy you’d have a beer with at a bar. 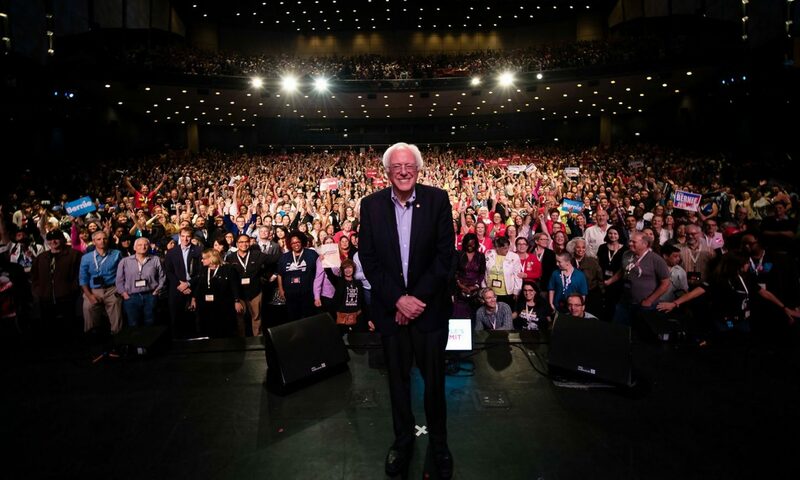 His speeches, which I’ve had to endure at the California Democratic Party Convention (the privilege of donating so much money is a stage) are remarkably uninspiring. His lack of government experience and his business acumen might be enthralling for the sort of people who voted for Trump – but those voters are taken. The rest of the electorate will want someone who knows what they are doing. And beyond impeaching Trump, Steyer doesn’t have much of a platform to run on. Sure, he has fashioned himself as an environmentalist and climate-change warrior, but his history of pumping “hundreds of millions of dollars into companies that operate coal mines and coal-fired power plants from Indonesia to China” throws doubts about his sincerity. Indeed, in 2016 he supported a cap-and-trade bill in California that was written by oil companies to protect their interests. Were Steyer to run, it is difficult to know who his natural constituency would be. The progressives in the party will navigate to Bernie Sanders, if he runs, or to Elizabeth Warren or perhaps to a yet unidentified true progressive. The moderates will have a plethora of choices, including the far more exciting Kamala Harris. It is difficult to know why Steyer thinks he can run and win, but rich men tend to be surrounded by sycophants who tell them what they want to hear – and if he wants to hear that he’ll be God’s gift to America, I’m sure that’s exactly what his consultants and the politicians who benefit from his largess, will tell him. Of course, he may not want to win at all. Perhaps he just wants to run because he’s bored – that seems to explain Trump’s run as well. Perhaps he just wants to feel adulation from more than the politicians he gives money to. Of course, I may be wrong. His announcement may be about funding lawsuits against Trump’s massive expansion of offshore drilling . Or he may be starting another anti-Trump initiative. He may be doing something else that would help get his name out in preparation for announcing his Presidential run in the future. And it is possible that he will be announcing a run for Senate or that he’s endorsing Kevin De Leon or even Feinstein herself, perhaps in exchange for her support after she chooses to retire (though that seat seems to have been promised to Garcetti). We’ll know soon enough. But if Tom Steyer is smart, he won’t be announcing a run for President. As the 2018 primary season approaches, candidates for all sorts of offices will be seeking the endorsement of the California Democratic Party. To receive it, they will need to convince enough CDP central commission members/delegates to vote for them. Who and where gets to vote depends on the type of office. The following is an explanation for CDP members – and anyone else who is interested – on how the endorsement procedure works. The California Democratic Party has a state central committee that consists of about 3,300 members/delegates. These members are mostly either directly elected by voters at assembly district caucuses which take place in January of odd years, selected by county central committees or appointed by the Democratic elected officials. They get to vote on the endorsement of candidates for statewide office, as well as for candidates for Congress, State Senate and State Assembly for the district where they live. In every county in California, there is also a Democratic Central Committee – the members of which vote on the endorsement of candidates for local offices. All 3300 members/delegates of the California Democratic Party vote on the endorsement of state-wide candidates. The vote happens at the CDP’s annual convention, which this year will take place on February 23-25 in San Diego. In order to vote, delegates must register for the convention and credential. If they are unable to attend, they can have another eligible registered Democrat carry their proxy. They must also register for the convention and get their credentials. The vote itself usually takes place on Saturday afternoon. Delegates stand in line to get their ballots, which they then cast. Delegates can chose to vote “no endorsement”. A candidate needs 60% of the votes cast to win. Votes of “no endorsement” count for the total, blank ballots do not. If no candidate reaches 60% of the vote, then no candidate is endorsed. If a candidate reaches it, s/he becomes the officially endorsed candidate of the California Democratic Party. – Get the physical signatures of at least 300 delegates. In addition, candidates must pay an application fee of $1,000. While this is not a hindrance for large campaigns, it is a significant investment for protest candidates who are unlikely to receive the endorsement in any case. I believe these will be the endorsement candidates for statewide races. In parenthesis, I’ve written how I intend to vote. It is very difficult for a non-incumbent candidate in a contested race to get the party’s endorsement – and this is particularly true when there are multiple candidates with a following. In 2016, Kamala Harris was able to obtain the endorsement over rival Loretta Sanchez, but in 2014 no candidate for Secretary of State or State Treasurer was able to get it. In my estimation, no candidate for Governor or Lieutenant Governor will receive the endorsement. It is also likely that there will be no endorsement in the US Senate or the State Attorney race, though in the latter I wouldn’t be surprised if Dave Jones won it. In the past, incumbents without serious competition did not seek the party’s endorsement in the primary, knowing that as the only Democrat in the general, they would automatically receive it. Alex Padilla and Betty Yee may still take this approach. Endorsements for candidates for Congress and the Legislature can be relatively simple in non-contentious races, and very complicated in contentious ones. In summary, it is up to the delegates that live in the district of each candidate to place them in the Party’s endorsement consent calendar, but the whole body gets to vote on their endorsement according to the rules below. Key issues to remember is that outside the Convention floor, delegates can only vote for candidates running in their districts. At the Convention floor, they can only vote to 1) remove specifically challenged candidates from the endorsement consent calendar and 2) adopt the endorsement consent calendar. Given that a vote to not adopt the endorsement consent calendar would mean that no candidate would be endorsed, this pretty much will never happen. If you are on the consent calendar by the Sunday of the convention, you are endorsed. Any registered Democrat is eligible to run for the Democratic endorsement – there are no viability tests in these races – but they must pay an application fee of $250 to $500, depending of the office they seek. The CDP has produced a helpful table that summarizes the information below as well as a narrative overview of the entire process. Incumbent Democratic Assembly members, State Senators and Congressmembers are automatically put on the endorsement consent calendar, unless 20% of eligible voters at the pre-endorsement Conference file an objection at least 10 days before this conference. In 2018 the deadline to file this objection is January 17th at 5 PM. This process is made more difficult as there are reports that regional directors are not sharing the list of eligible voters with delegates that want to challenge incumbents, making it harder to surmise how many signatures you need to reach 20%. If 20% of eligible voters file this objection, the incumbent and any other Democratic candidate that has applied for the endorsement will appear before the pre-endorsement conference. On January 27th or 28th, each region (an administrative subdivision of the CDP which includes 4 assembly districts) will have a pre-endorsement conference where eligible voters will vote on the endorsement of Assemblymembers, State Senators (if running) an Congressmembers. At the pre-endorsement conference, eligible candidates come and give a 2 minute speech. After all candidates for all races in all districts that fall in the relevant region have spoken, voters vote and then ballots are counted. Voters can choose to vote for “no endorsement” in every race. A candidate needs to get 70% of votes cast to be put in the consent calendar for the Party’s endorsement. If no candidate receives 70%, but at least one candidate receives 50% of the vote, the endorsement goes into an endorsement caucus at the convention. All candidates that are registered Democrat are eligible to participate in the endorsement caucus for their district, if one is held. If no candidate receives 50% of the vote, there will be no endorsement for this race in the primary. To be eligible to vote in a given race you must be 1) a CDP member/delegate from the relevant district or 2) a regular central committee member living in the relevant district or 3) a representative of a Democratic club with its main membership in the relevant district. Eligible voters can either vote in person, or can mail their votes to the regional director (or even e-mail them), but they must arrive by the time of the pre-endorsement conference. Any incumbent that was not challenged before the pre-endorsement conference or candidate that received 70% of the votes at the pre-endorsement conference, is put in a consent calendar for endorsement at the Convention. Their name can be removed, however, if an objection to this endorsement is filed by 20% of the CDP delegates in the district in question OR 666 CDP delegates from any districts (20% of the total number) 10 days or more before the convention (Febuary 13 in 2018). Note that at this level only actual CDP delegates are eligible to object and only delegates are counted to determine the 20% needed to do so. If an objection is appropriately filed, the endorsement vote goes before an endorsement caucus at the Convention. (Note: the bylaws are not explicit about whether incumbents who are automatically placed in the consent calendar can be removed from it. In my opinion, however, the language on the bylaws suggest that they should be. However, the leadership of the Party disagree with that reading. Therefore be advised that if no one objects to the endorsement of an incumbent 10 days before the pre-endorsement conference, that incumbent will not be able to be able to be removed from the consent calendar and the will almost assuredly be endorsed). At the Convention in San Diego, there will be endorsement caucuses for races in which 1) a pre-endorsed candidate (i.e. the candidate who was put in the endorsement consent calendar) was challenged or 2) no candidate got 70% of the vote at a pre-endorsement caucus, but at least one candidate got 50% of the vote. All candidates who participated in the pre-endorsement caucus in the latter case will be eligible to compete for the endorsement. 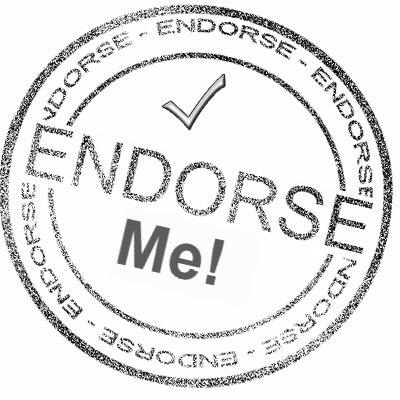 To be put in the endorsement consent calendar at the endorsement caucus, a candidate must receive 60% of the vote. Once again, “no endorsement” votes are counted, but blank votes are not. Delegates cannot vote by mail, but can send a proxy. Only credentialed delegates/proxys can vote. A quorum is 50%+1 of delegates. If no candidate receives 60% of the vote, there is no endorsement in that race. There is no second ballot. If a candidate receives at least 60% of the vote but no more than 2/3 of the vote at the endorsement caucus, his endorsement (or rather, his placement on the endorsement consent calendar) can be challenged by obtaining the signature of at least 300 CDP delegates on a particular form. All delegates, regardless of where they live, are eligible to sign. If he receives 2/3 or more of the vote, there is a more complex method to challenge it which includes 10 delegates from the relevant district filing a petition and a group of Bauman appointees deciding whether to accept the challenge or not. If this happens, the endorsement goes to the floor of the convention where all delegates present will vote to either approve the challenge and remove the name of the pre-endorsed candidate from the consent calendar or not. In the case his name is removed, he will not be endorsed. Candidates for local office, which in California are all non-partisan, can still apply for the Democratic endorsement. This endorsement, however, is granted by the Democratic Central Committee for the specific county the office is sought. In the cases of candidates running for district boards that cover more than one county (e.g. the Bay Area Rapid Transit District), candidates may have to seek the endorsement of multiple Democratic Central Committees. While there is some intersection between members of county central committees and members of the state central committee, these are not necessarily the same. Endorsement rules vary from county to county, as the county central committees are independent bodies. Eleni Kounalakis, candidate for California Lt Governor, is not the progressive she claims to be. Multi-millionaire real estate developer Elenis Kounalakis has a long history of supporting corporate Democrats, including right wingers such as Congressmember Ami Bera. She fundraised heavily for Hillary Clinton and Barack Obama, to the point of buying herself an ambassadorship to Hungary. She moved on to be part of Hillary Clinton’s inner circle and an ally of David Brock and George Soros. As she runs for California Lieutenant Governor, however, she has tried to market herself as a progressive, claiming she supports single payer healthcare and a lot of other causes dear to Berniecrats’ hearts. While it is possible that Kounalakis had a changed of heart, there is no indication that this has been the case. Beyond claiming these “pie in the sky and impractical” ideas for herself, she seems to have done nothing to advance them, either by lobbying for them at the Legislature or by supporting progressive candidates that will actually champion them. There is a good Berniecrat running for Lieutenant Governor in California, Gayle McLaughlin. A current City Council member and former Mayor of Richmond, California, McLaughlin has a record of fighting big corporations, including Chevron, leading people-powered campaigns, instituting police reforms and passing rent control. McLaughlin was endorsed by Bernie Sanders himself in past races, recognized by Bernie in his book “Our Revolution“, and has been endorsed by numerous Our Revolution chapters in this race. However, a former Green who became an NPP to vote for Sanders, McLaughlin is running for Lt Governor as a “no party preference” candidate. This means that she is not eligible for the Democratic Party endorsement and that delegates to the California Democratic Party Central Committee, cannot publicly support her or avow a preference for her. I am thus doing neither. Eleni Kounalakis’ quotes in the Politico article came to my attention through an anonymous e-mail from a throwaway account. Given the timing – less than two months before the California Democratic Party’s convention, when delegates like I will vote on which candidates to endorse -, it seems likely that this e-mail came from one of her two Democratic rivals, State Senator Ed Hernandez or former Ambassador to Australia Jeff Bleich. Ultimately, none of the Democratic candidates in the Lieutenant Governor’s race holds a progressive vision and none of them would do much to champion social justice and human rights. Therefore, I recommend that my fellow delegates vote “no endorsement” on this race. I will do that myself. These are quotes from Kounalakis from the January 2016 Politico article. “Bernie Sanders is a fringe candidate,” said Eleni Kounalakis, a major Clinton donor who served as ambassador to Hungary during Clinton’s time as Secretary of State. Just for fun, these are the quotes she gave to the same Politico writer about John Biden, when she feared Biden might run against Hillary instead. (Some concern that “if Clinton loses New Hampshire and Iowa, Biden could get in.”) NOT FOR ATTRIBUTION. Here Are the Corporate Free Super Progressive Candidates Running in the California General Election: Support Them! Joey on Here Are the Corporate Free Super Progressive Candidates Running in the California General Election: Support Them! Robert Hayes on Here Are the Corporate Free Super Progressive Candidates Running in the California General Election: Support Them! Elani on Eleni Kounalakis, candidate for California Lt Governor, is not the progressive she claims to be.